Welcome to the thirty eighth in our series of weekly puzzles. This week we have a puzzle from Chaz. There are themed answers and extra letters that must be removed from the wordplay, but don’t let that put you off as it is an excellent puzzle. Seven entries form part of a famous octet and lack further definition. Eleven other clues contain an extra letter in the word-play which when removed spell out, in order, an instrument associated with the group; all other clues are normal. 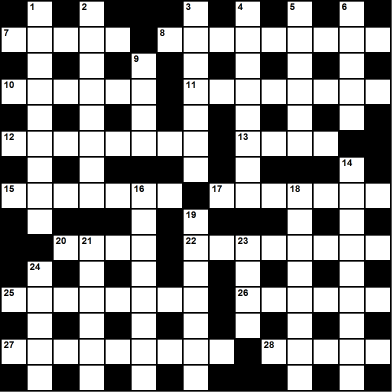 The absent member should be written below the completed grid.